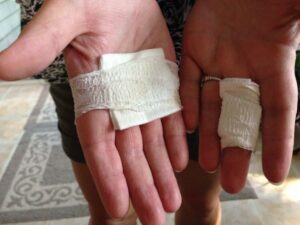 I forgot my medicine at home one day when I went to work and was desperate to moisturize my cracked, itching, and bleeding hands. Luckily, there was a small package of Aloe Vera gel in our First Aid kit. Instantly, it soothed my hands! 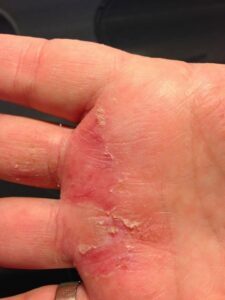 I put it on all day and it helped a lot but within 5 minutes of applying it, my hands dried right back out and the uncomfortable cracking feeling returned. After work, I did more research on how to get the gel out of the leaf because it’s rather solid. I’m glad I did because I learned a lot and my aloe plant went a lot further! The trick is to peel off the green with a knife. I used the green peelings to put against my skin and then wrap with bandages for hours of relief. 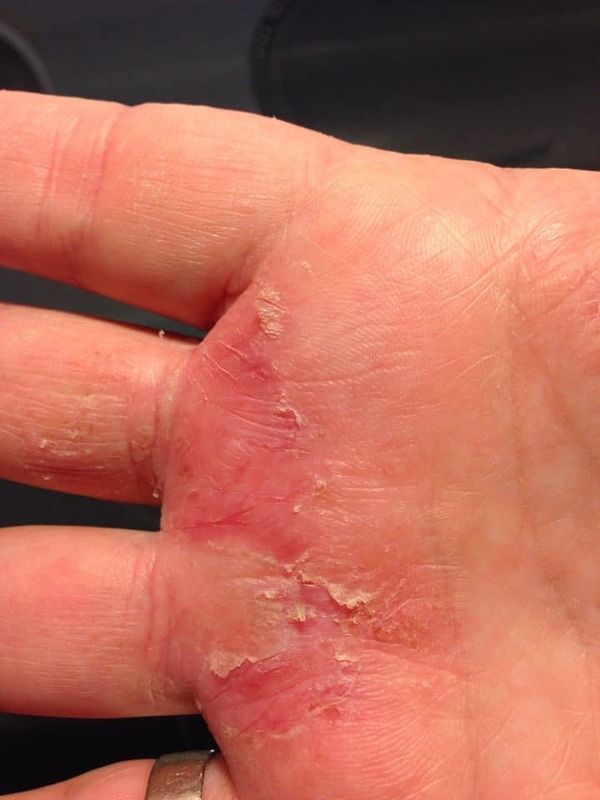 Within 1 day there was a miraculous change in my skin condition! I cut up the white gel from inside the plant and stored it in a plastic container. I’ve been eating little pieces of it because it has so many added health benefits. In addition, I also use it to wipe on my face in the mornings to help with my complexion. It makes my face feel and appear smoother. 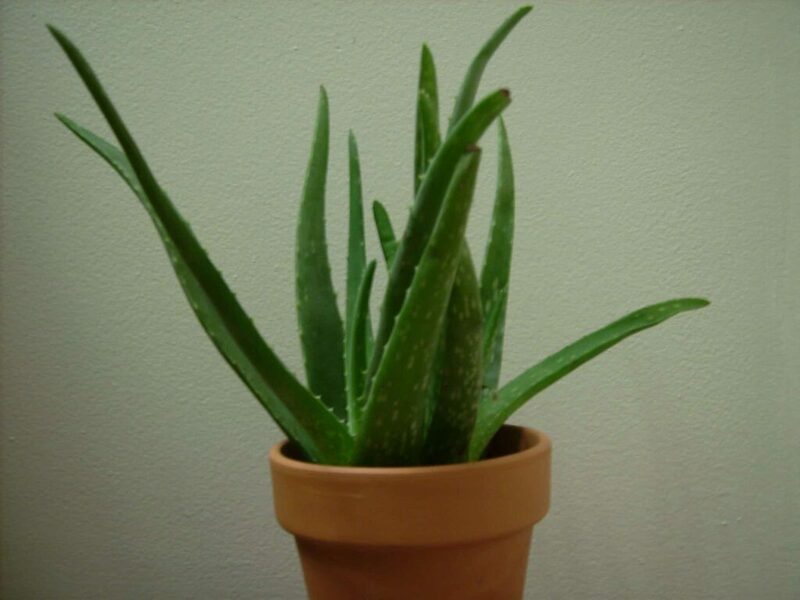 I am so happy I found Aloe Vera for my eczema. It has relieved the pain and suffering I experience from it and I’m hoping it will keep other outbreaks at bay or even nonexistent. 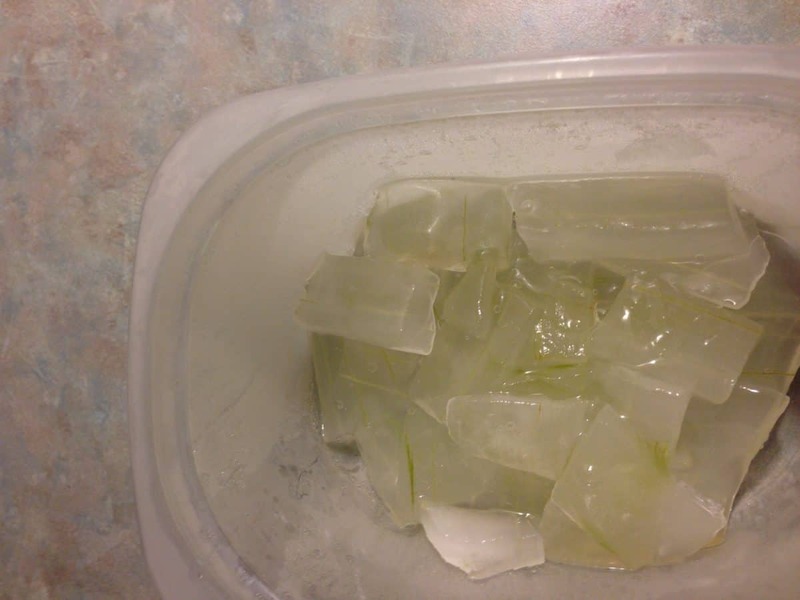 If you aren’t someone who wants to deal with cutting up the aloe plant, you can order a gel that is 99.75% aloe vera by clicking here. 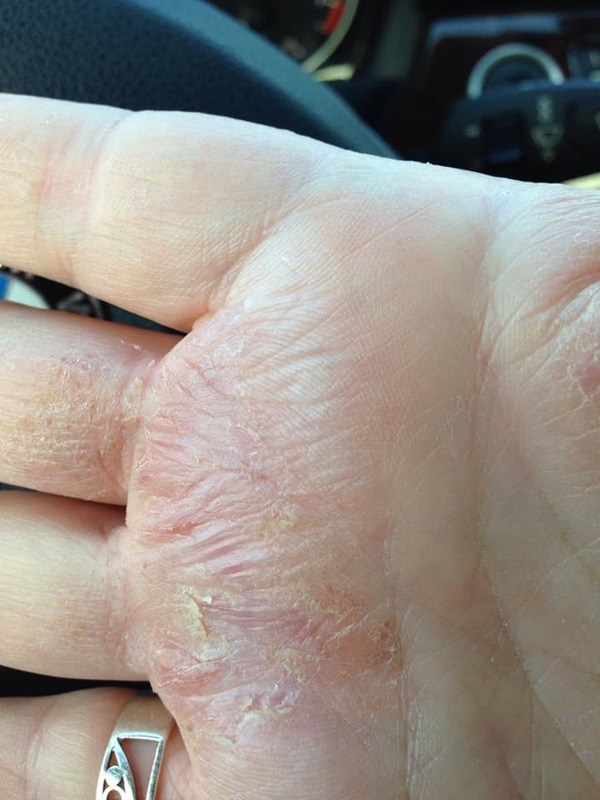 Below are pictures of my hands and the different stages they have gone through. Hand eczema is worse during colder months for me. 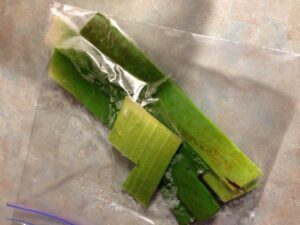 The relief I experience from using Aloe Vera is incredible. I hope this post brings you relief! Here is a great infographic from www.odylique.com for various supplements you can use for eczema to hopefully avoid eczema all together. But in case it flares up and you need a quick eczema cure, hit the grocery store for some aloe vera or keep a growing plant on hand! Do you have other methods to relieve symptoms? Please share them! Really interesting and so glad for you to have found relief! Thank you! Nothing else worked for me. I now use it on my face as well for moisturizer. Works awesome! 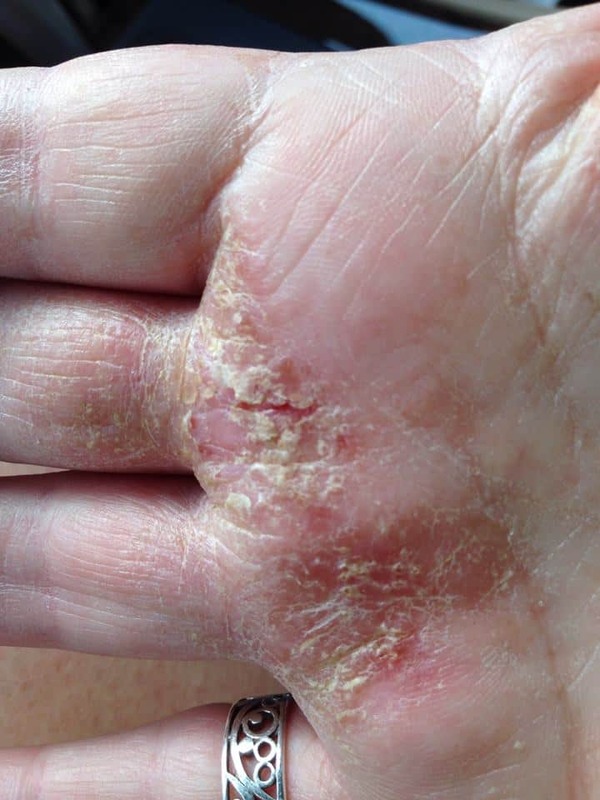 I have had eczema since I was born and nothing ever cures it,just calms it down for a while. My doctor prescribes an ointment for me called Clobetasol Propionate Ointment 5%. I can’t use cream because it doesn’t work as well. I also use Aveeno moisturizer for dry itchy skin and Eucerin cream on my body as soon as I get out of the shower on my soaking wet skin so it can soak in better and stay moistureized. I hope this information will help you.. Fantastic! Thanks for sharing! I do.t have eczema, but I am covered in psoriasis so I am gonna try it for that and see if it helps. If so I will definitely let everyone know! Have a Great Day! I love it! My boyfriend said it’s like a miracle. I even use it on my face in the mornings and it makes it look fresher! I need to write about more uses for it as it has really changed my life. Good luck! Wow! That’s great! Aloe is still working great for me but in the dead of winter it’s tough. I will have to check out this product. Thank you Marissa!